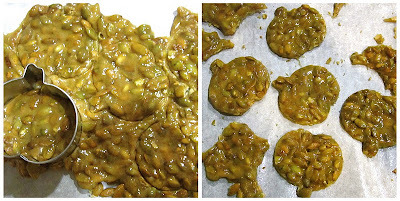 This super simple pumpkin seed brittle is made in the microwave in under 10 minutes, instead of cooking over the stove top with a candy thermometer. It is quick, cheap, easy, and virtually fool proof. 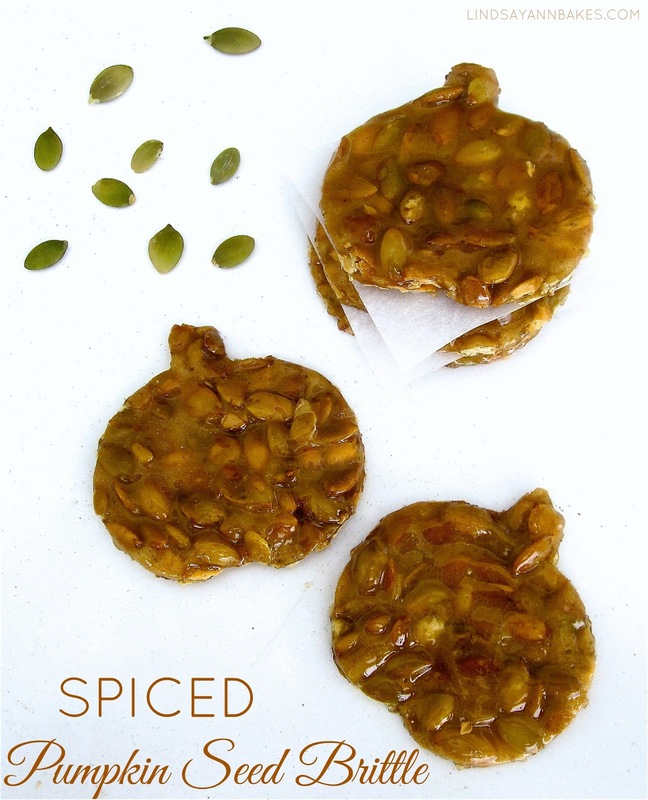 The warm cinnamon and spices make it absolutely delicious, and oh so addicting; the perfect Fall treat. I have to say, I actually prefer this version over classic peanut brittle! Give it a try and let me know which you prefer. To add a festive touch, I used a pumpkin cookie cutter to create cute little pumpkin shaped pieces of brittle before it cooled, instead of breaking it into the traditional broken shards. Line a baking sheet with parchment paper or foil and spray with non-stick spray, set aside. Quickly stir in baking soda, mixture will foam. Pour immediately onto prepared baking sheet and spread to desired thickness with a wooden spoon sprayed with non-stick spray. Press a pumpkin shaped cookie cutter into hot brittle creating as many pumpkins as you can before brittle hardens (optional). Let cool 15 minutes, or until set. Break into pieces. Package in cellophane bags for gift giving or store in an airtight container.